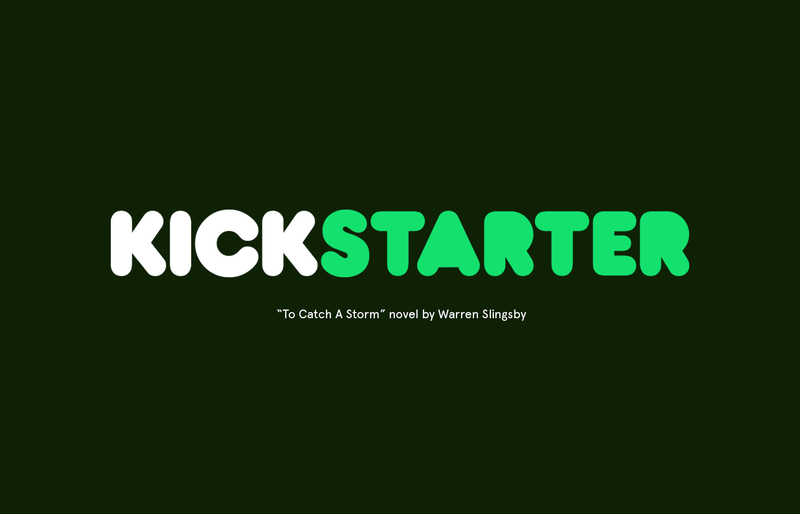 Kickstart "To Catch A Storm"
Our studio mate, Warren Slingsby is bravely doing a Kickstarter to try an publish his very first novel. The story is a modern cat and mouse thriller with a female lead who gets mixed up in the world of stolen art and the super rich. If the project get’s fully funded we will get to create the cover art and a lovely reward for backers. So, please get over to Kickstarter.com and back the project, it could make a great Christmas present for family members who love to read. The project was fully backed! Check out the case study in our Projects.